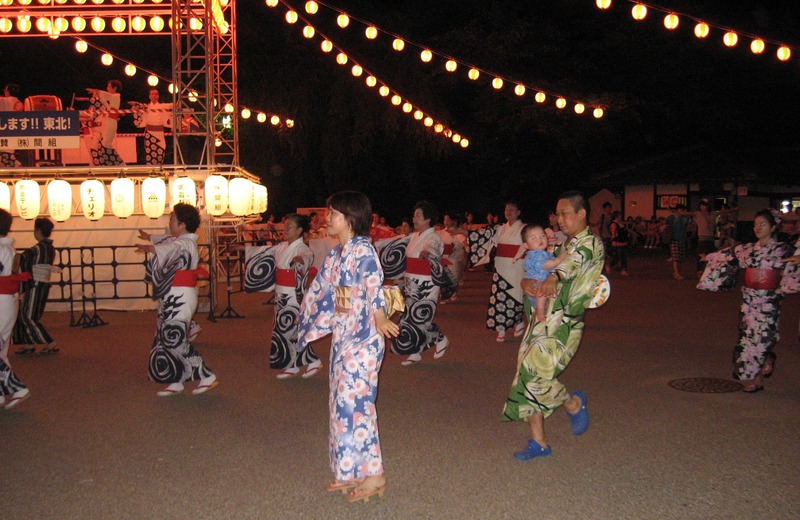 This entry was posted in Japan and tagged Bon odori, Dancing, Festival, Japanese culture, Kimono, Nagoya, Nagoya Castle, Obon, Omatsuri, People watching, Summer, Traditional Japan, Yukata by Haruko-chan. Bookmark the permalink. 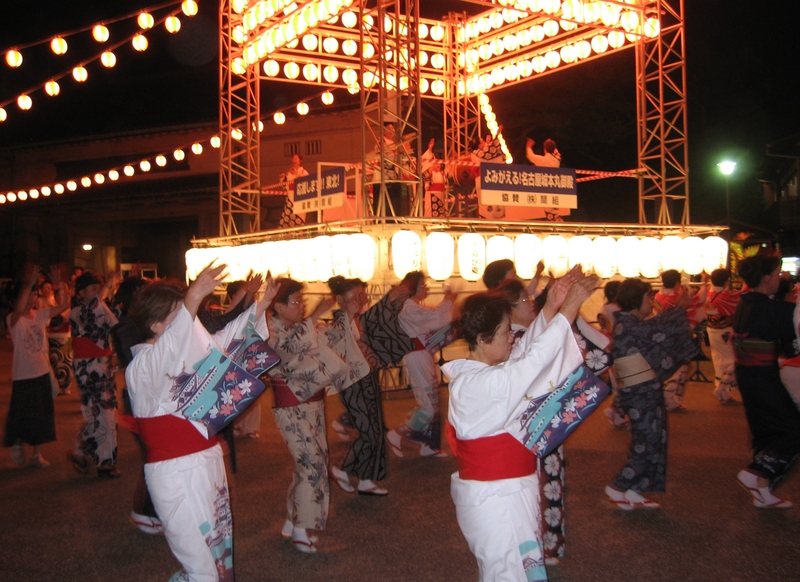 One of my few memories of my grandfather was dancing with him at an Obon festival in Fresno, CA. I was 5 and he was teaching me the steps. Natsukashi! 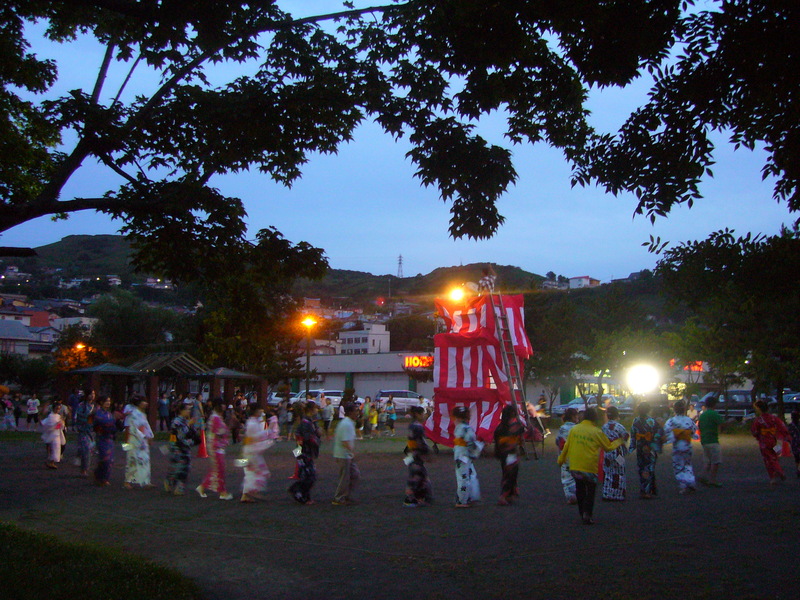 I remember going to an Obon festival at Nagoya castle! Feels like a long time ago now. そうですねー. It’s hard for me to believe that these pictures were already taken two years ago. On the one hand it feels like yesterday, one the other hand it’s like a dream that happened in a different universe or something.